Our reservation was changed to the afternoon instead of the morning, which lead to low tide and very murky water where we could barely see in front of us. Further, and despite the fact that the video and photos shot were unclear, we were asked to pay the regular price for them, which we declined. It is unfortunate that we did not benefit from this activity. I have to admit I was a bit sceptical as the price was so cheap, but this was the best day in our 4 week stay in Bali and the cheapest, even compared to booking direct. Ketut our driver was amazing. He is the loveliest person and spoke great English.Thanks Bali Activities I would definitely use you again! They are professional and knows how to handle tourists. The overall experience is one of the best that I have seen. 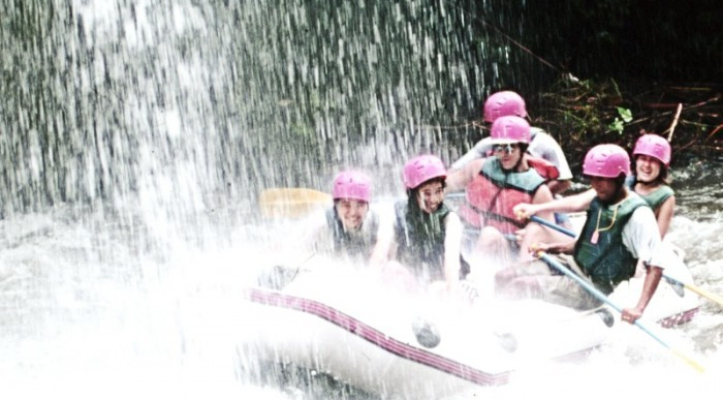 We loved both the seawalker and rafting activity. Pick up and drop off at our hotel was well on time. We were so impressed with this tour. The service and activities was outstanding and I would recommend it to anyone. I am afraid of the deep sea and I did not once feel afraid during the ocean walk it was more about the unknown before the activities. 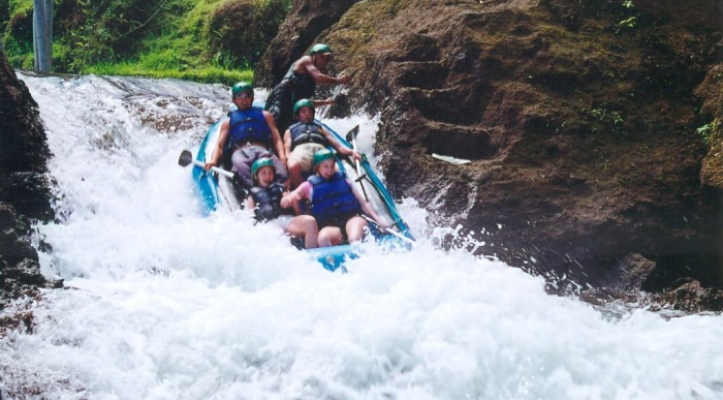 White water rafting was fantastic and so much fun and picturesque. Roger and Mary. By the way the photo above is not us. It was a really good Day Out in Bali ! Reserved the monday for the tuesday. Operator at had all the answers to my questions in the minutes. Everything has been well manned, from the pick up to the return at the hotel. The rafting was fine and the start and end sites were fine (compared to some others). 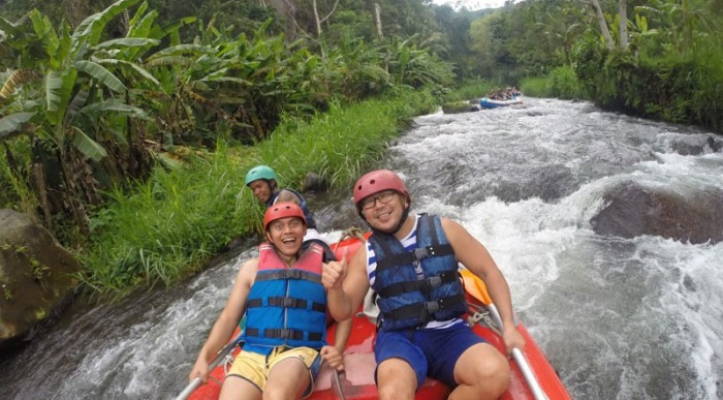 The rafting operator was BIR (Bali International Rafting). The BIR people were fine , especially the raft pilot ! The lunch was good and the drinks were not overpriced. The photos were a bit expensive, so I did'nt took them. The Seawaller is an incredible and amazing experience. 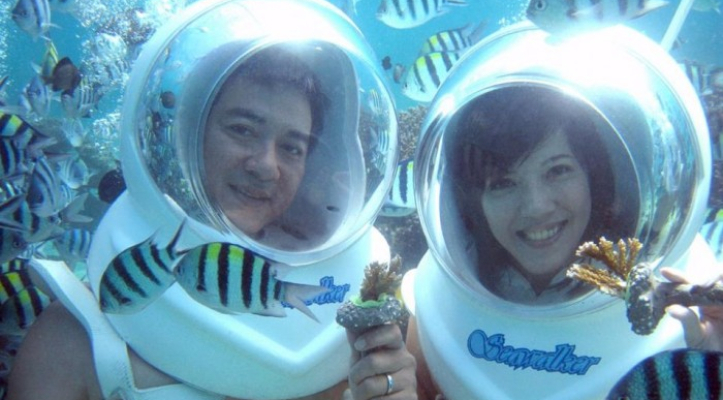 It permit me to share the happynes to dive with thousands of tropicals fishes with my wife who was scared by scuba diving. 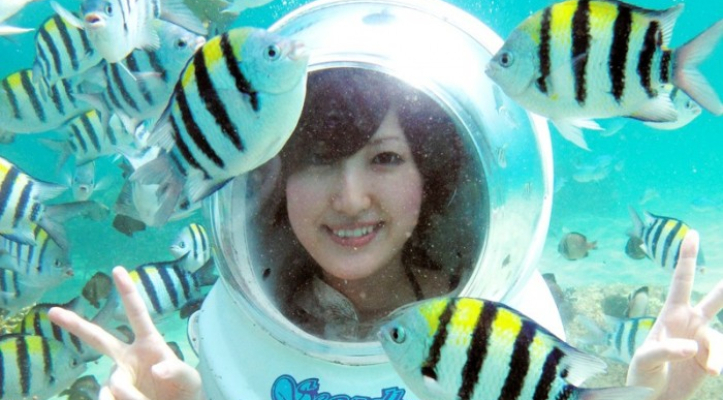 At first, she was a little bit afraid, but after a few minutes, she becomes to feel much confident. When it was the time to go to the Seawalker, and after driving a mile, I found myself to have forgotten my little wallet at lunch. The drivers returns immediatly to the lunch site while I found my wallet at the bottom of my bag. Sorry for that delay, but thanks to the driver. 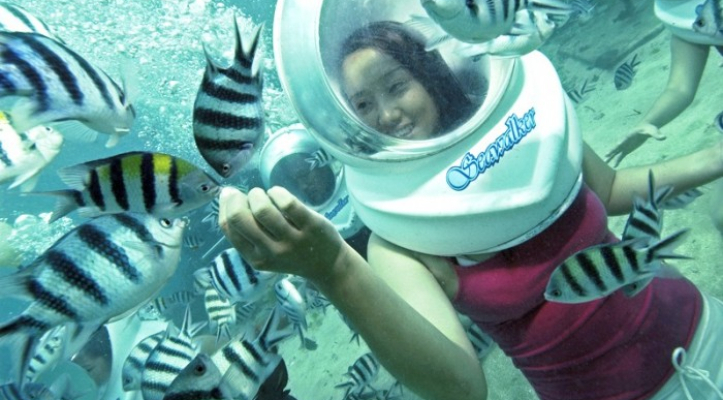 Bad experience in Bali Seawalker, water dirty and not clear when walk under sea. Use own camera, staff not professional, after take a lot photos and at the end in the own camera memory no photos at all. Finally no choice force to buy their photo and felt like being cheated. 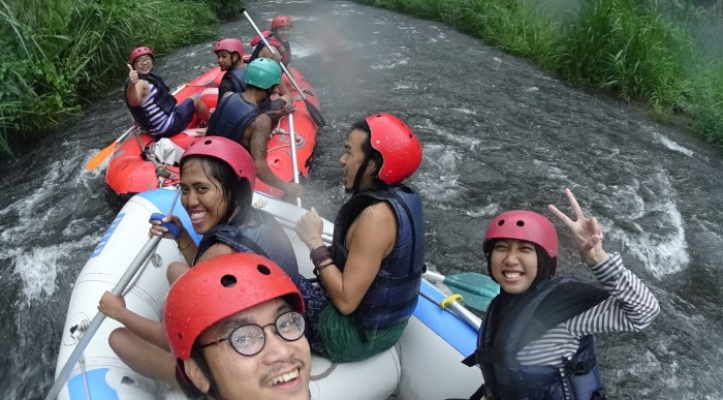 White water rafting is very very nice experience, so i decided to give 3 star out of 5. Seawalker really not worth to try.